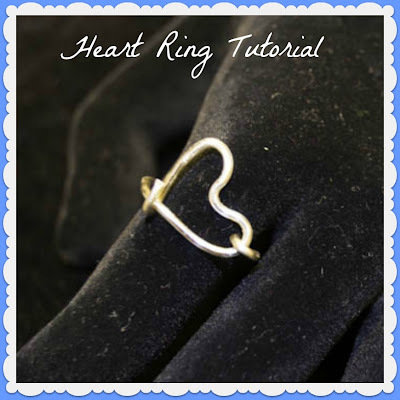 Today we have a Heart Ring Tutorial. I saw a Heart Ring on Stumbleupon, and decided that these would make cute Mother's Day Presents. I could not find the blog to tell you where it came from originally, but I did want you to know it is not an original idea. I have had to wing it with making it, again, because I couldn't find the blog post that it came from. It is a pretty simple project to make and doesn't take a lot of special equipment. 1. 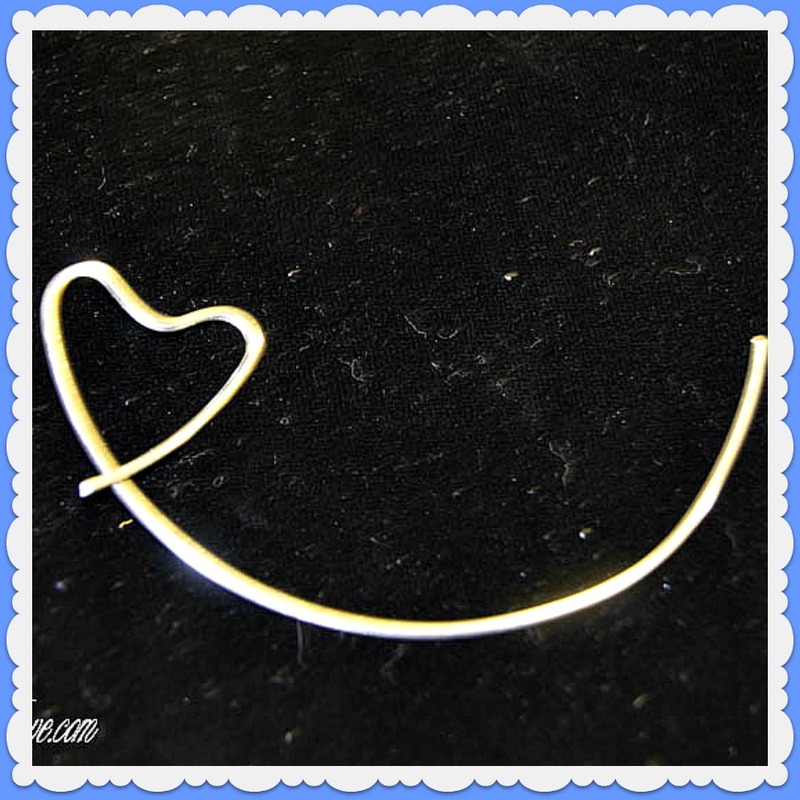 Cut a piece of silver wire about 2 inches long. 3. 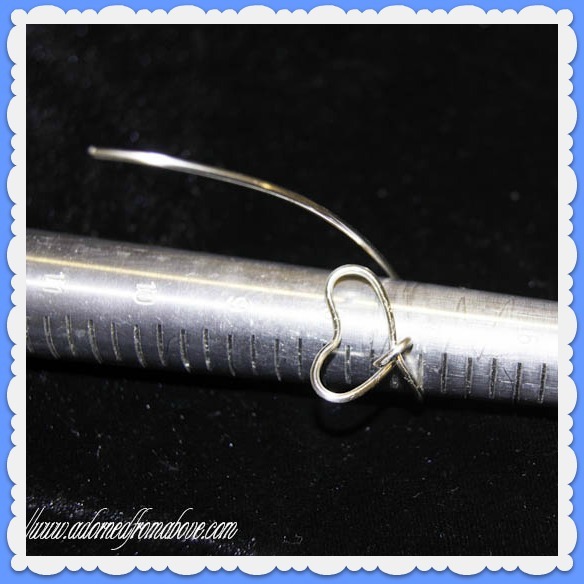 Next form the center of the heart with the smallest part of the wire loop pliers. 4. Then shape the other side of your heart. (like you did in step 2. 5. Next, lay the wire from the 2nd side of the heart over the plat piece from the first part of the heart. 6. Then using the wire loop pliers loop the first part of the heart over the 2nd part of the heart. 7. 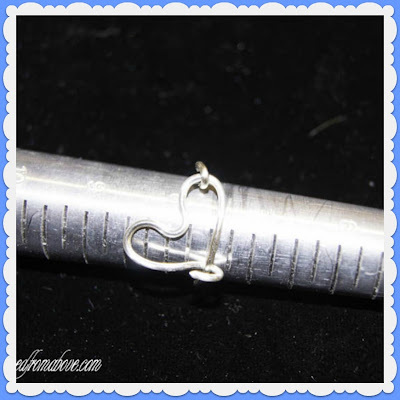 Then push the heart flat against the mandrel and wrap the wire around it at the ring size that you need. 8. When you bring the wire up the other side, trim the wire so that it will be long enough to latch over the corner of the heart. 9. Then bring the wire to the inside of the loop of the heart. 11. Trim any pieces that are too long if necessary. You are done. 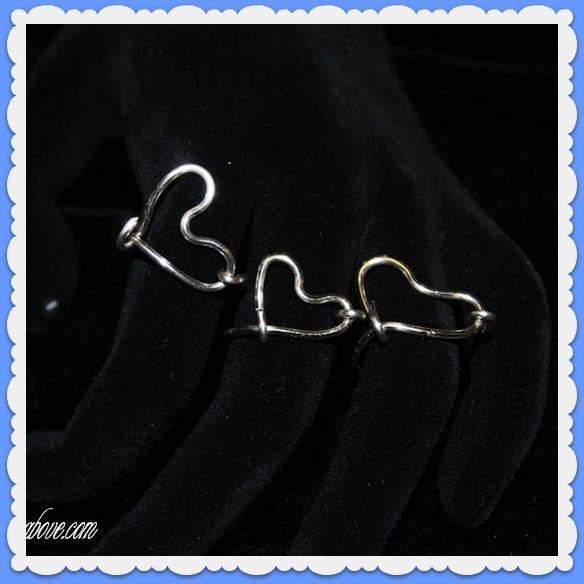 These are pretty simple rings to make once you figure out the heart loops. They are free form, so they do not need to be perfect. I think they would make cute little gifts. I hope you like this Heart Ring Tutorial. I always love hearing from you. Labels: Clothing and Accessories, DIY Clothes and Accessories, DIY Jewelry, How To's, Misc. What a great project! Thanks so much for joining us at last week's All my Bloggy Friends .... We look forward to seeing what you share this week!